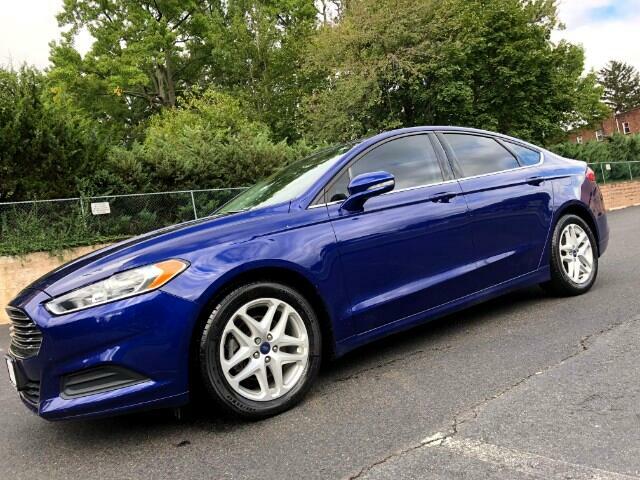 NO HIDDEN FEES, REAL PRICES FOR CLEAN CARS WITH REAL PEOPLE...2016 FORD FUSION SE WITH GREAT GAS MILEAGE, RELIABILITY AND LOADED WITH KEY FEATURES....1 OWNER, OFF LEASE VEHICLE(NOT A RENTAL THAT'S BEEN DRIVEN AND ABUSED BY COUNTLESS PEOPLE)...COMES EQUIPPED WITH BACKUP CAMERA, BACKUP SENSORS, DUAL ZONE CLIMATE CONTROL, POWER SEATS, ALLOY WHEELS, HEATED SIDEVIEW MIRRORS, SATELLITE/XM READY RADIO, USB PORT, AUX PORT, BLUETOOTH, STREAMING BLUETOOTH AUDIO AND SO MUCH MORE...GAS SAVER WITH EPA RATINGS OF 22 MPG CITY/34 MPG HIGHWAY...POWERTRAIN WARRANTY UNTIL SEPTEMBER OF 2020 OR 60K MILES(ELIGIBLE FOR COMPREHENSIVE BUMPER TO BUMPER COVERAGE FOR UP TO YEAR 2025 OR UNTIL THE ODOMETER READS 125,000 MILES)...PRIME AND SUBPRIME FINANCING AVAILABLE. Visit Executive Auto Sales online at www.executiveautosalesnj.com to see more pictures of this vehicle or call us at 856-853-1555 today to schedule your test drive. Executive Auto Sales is Family Owned and Operated. We offer wholesale prices on our vehicles in a friendly, no pressure environment. This dealership has been in business for over 30 years, serving customers from all over the world. All of our vehicles are eligible for warranties from 3 months up to 4 years, unlimited miles. We are located in Woodbury, NJ.